On your next beach vacation in Puerto Vallarta, you can enjoy the sun, dine in excellent restaurants in Puerto Vallarta and experience the city’s vibrant nightlife. 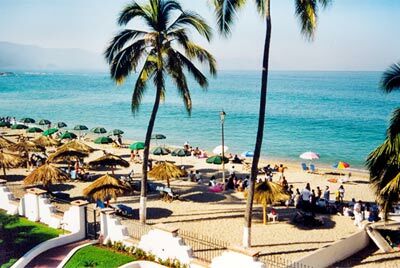 Don't forget to make time for a visit to Playa de Los Muertos, one of the liveliest beaches in Puerto Vallarta. Playa de Los Muertos is set in the heart of Puerto Vallarta and is one of the most traditional beaches in this beautiful destination. It is an excellent public beach that is popular with the locals, featuring lots of thatched-roof palapas, a long stretch of sand, and a family atmosphere. The beach is close to the boardwalk and can be easily accessed from numerous hotels in Puerto Vallarta, especially the ones located in Old Vallarta, the historic colonial part of the city.